Common Cause Wisconsin: Wisconsin State Senate Passes Legislation to Require Disclosure and Regulation of Phony Issue Ads on Overwhelming, Bipartisan 26 to 7 Vote! Wisconsin State Senate Passes Legislation to Require Disclosure and Regulation of Phony Issue Ads on Overwhelming, Bipartisan 26 to 7 Vote! Shortly before Noon today, the Wisconsin State Senate debated and then overwhelmingly passed Senate Bill 43, bipartisan campaign finance reform legislation requiring disclosure of the donors and regulation of the money utilized by outside special interest groups and individuals that run widely-disseminated campaign communications masquerading as issue advocacy during the period of 60 days or less prior to an election. The huge, bipartisan pro-reform vote was 26 in favor and only 7 opposed. Eight Republicans joined all eighteen Democrats to pass this sweeping reform measure. The six voting against SB 43 were Republcan State Senators Scott Fitzgerald of Juneau, Glenn Grothman of West Bend, Randy Hopper of Oshkosh, Ted Kanavas of Brookfield, Neil Kedzie of Elkhorn, Mary Lazich of New Berlin and Joe Leibham of Sheboygan. This electioneering disclosure and regulation legislation mirrors rules approved by the state Government Accountability Board in November 2008. An identical Assembly version of the legislation, Assembly Bill 63 was passed in the Assembly Committee on Campaign Reform and Elections in June of 2009 on a bipartisan 6 to 1 vote. Now that the State Senate has passed this sweeping legislation, the Assembly should consider and pass the measure as soon as possible -- and Governor Jim Doyle, who has repeatedly said he supports this measure, should sign it into law. Common Cause in Wisconsin (CC/WI), the first state reform organization to recognize the critical importance of this reform, first proposed a version of this measure back in 1997 -- and has been a leader in the effort to get it enacted into law ever since. Enactment into law of this major campaign finance reform measure would close the single largest loophole in Wisconsin's loophole-ridden campaign finance laws. 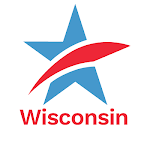 And it is absolutely necessary to counter the numerous cancerous and anonymous campaign communications that have undermined legislative, gubernatorial and other statewide elections and, more recently and alarmingly, Wisconsin State Supreme Court elections. The recently enacted Impartial Justice Law, which provides full public financing for qualified state supreme court candidates who agree to abide by spending limits totaling $400,000, will be effective only with Senate Bill 43 as law. This editorial in The Capital Times this morning makes the case for this critical reform: Senate should bring transparency to sleazy ads. Wisconsin State Senate Passes Legislation to Require Disclosure and Regulation of Phony Issue Ads on Overwhelming, Bipartisan 26 to 7 Vote!Tweet this! Congratulations! Saw your Tweet and called my Senator. I hate those ugly ads that show up every election. Good to see that we might actually get to find out who's behind them.